You are currently viewing ITERATION IT-001-3. To view the previous two iterations please click here. Portion of SCP-001-01 captured prior to Incident I-001-01. Description: SCP-001 refers to a global network of several hundred ancient containment sites consisting of neolithic and bronze age archaeological monuments, settlements, and henges. 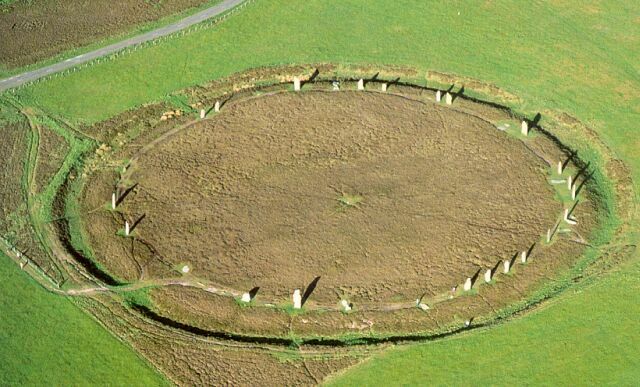 Each location is oriented in a global web around six major intersections, where each intersection consists of a single large scale complex of neolithic monuments. Due to archaeological excavation, and swift action by Foundation agents and field detachments, the vast majority of these sites have been safely contained, and repaired in conjunction with Finnfolk cooperation. SCP-001-01 through -06 refer to six major neolithic sites responsible for containment of an equivalent number of Type Black entities. Each site is currently preventing a single HK-class deific subjugation event, despite having sustained severe structural damage due to long periods of corrosive erosion, and poor maintenance. Below is a table containing pertinent information on each location, and its current state. SCP-001-01 is in a state of structural collapse, due to the events of DR-3703-A, containment failure is believed to be imminent. Epicenter of SCP-001-01, long term erosion and damage is apparent in the large gaps between surviving containment stones. 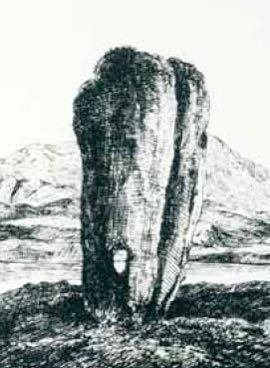 19th Century sketch of the Odin Stone prior to its destruction, and subsequent release of SCP-3456. When the titans meet their end. finally awakened from her eternal sleep. imprisoned by our ancestors feats. By the one who's name is Tyranny. At behest of the vile Nuckelavee. To give man one last fighting chance." 16:56 DrBleep Basically, Neolithic civilizations built Henges/structures in rings to contain hostile anomalies in a concerted effort. most mythological creatures are based off these extremely dangerous anomalies, and ergo, why they are myths cause we conquered them long ago. 16:57 weryllium Oooh. That's pretty cool. 16:57 DrBleep But as time has passed, we've lost the knowledge of these circles, their real purpose, and how they were built. And a lot of them have been buried beneath urban environments, inadvertantly preserving them. 16:58 weryllium And the things they were containing are free now. 17:00 DrBleep So the Foundation's preceeding organizations figured out that everytime a massive dangerous anomaly has broken loose, it's been because something has happened to the Ring of Brodgar and the Stammness standing stones. 17:01 DrBleep And the rest of the stones are starting to fall apart, so the Foundation is desperately seeking a way to repair the circle. Cause the stones contain smaller anomalies. The full circle has sealed…soemthing else. 17:02 weryllium I like this. 17:02 DrBleep (I'm honestly thinking something like the Scarlett King here, but idk.